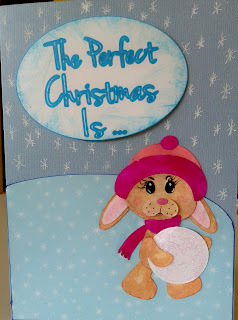 KathyB's Little Corner: First Christmas Card of the year! 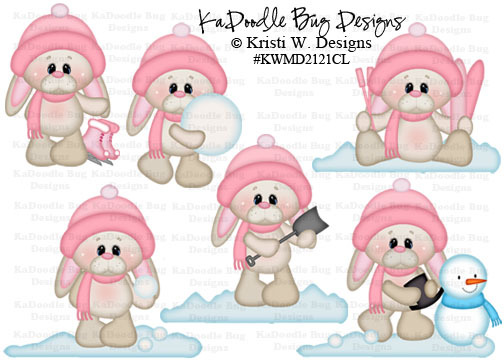 I just purchased this incredible file set from KaDoodle Bug Designs and immediately knew what I wanted to do with it. My little man Aiden loves to make snowmen and last year we did not have enough snow to do that. So here is hoping this year he will get that chance. This will be his Christmas card for 2012. 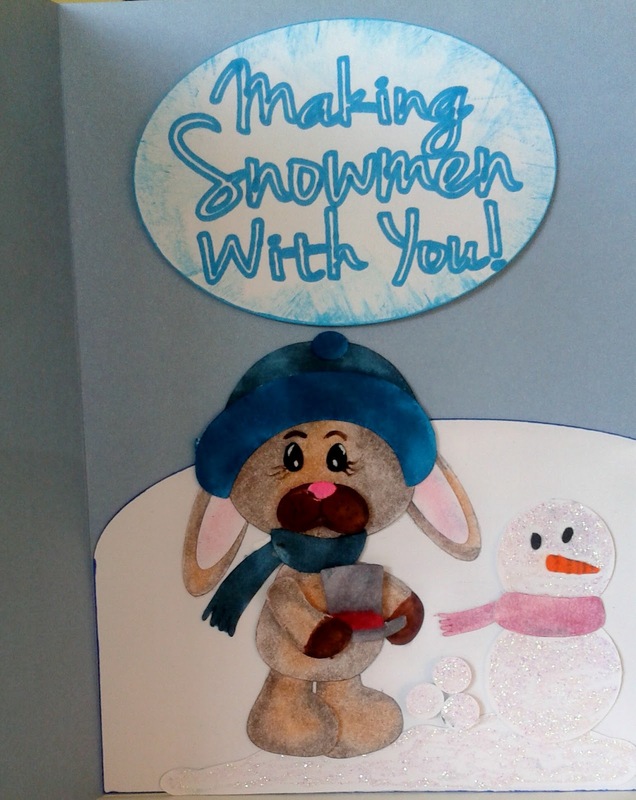 This is the outside of the card with the girl bunny carrying a large snowball. 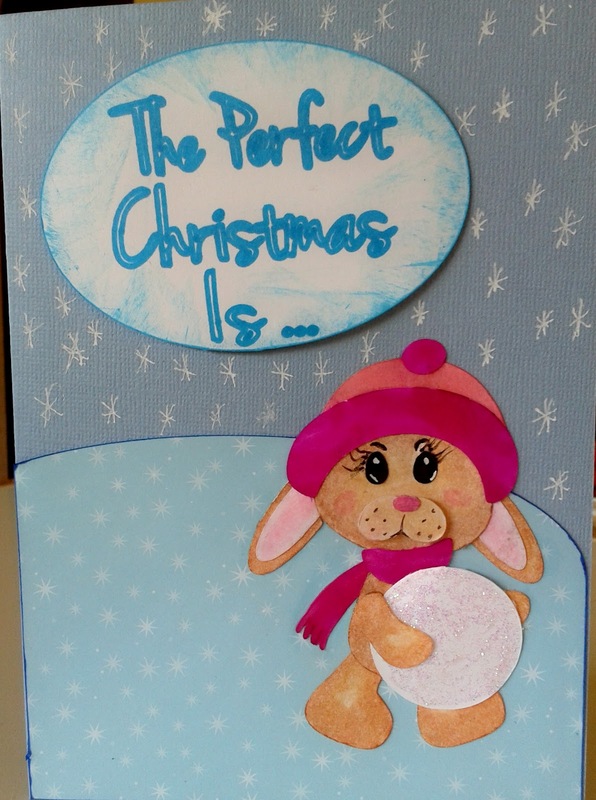 The card base is made out of a simple blue piece of cardstock and another piece of cardstock for the hill. The words were written using my pen tool for my wonderful Black Cat Cougar and then cut it out by replacing the blade housing. I love my Cougar!